When it's cold outside, there's nothing quite as cozy as sitting by a fire in your fuzzy pajamas with a hot beverage. Sometimes, however, I don't really want coffee in the evenings before bedtime. 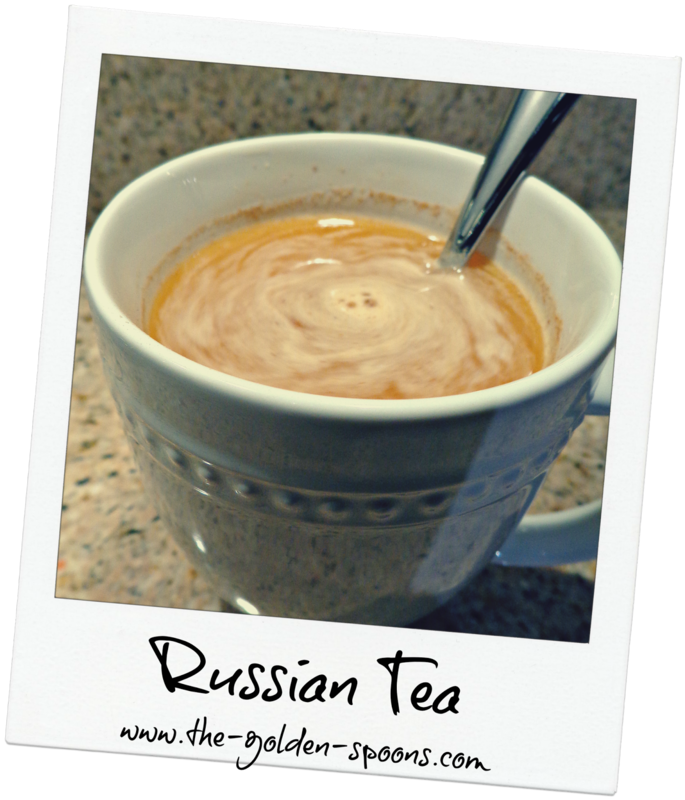 So, every year about this time, I whip up a batch of Russian Tea. Even better - it could not be easier to make! Mix all ingredients together in a large bowl. When finished, store in an airtight container. To serve, add 3-4 Tablespoons to a mug of hot water (approximately 8-10 oz). What hot beverage to you like to sip this time of year? I am so with you on a hot beverage and flannel pants (in my case) and a fire going. Also, we light up our Christmas tree. So nice to just sit on the couch with a book or bad Christmas movie. My hot beverage of choice will always be coffee, but I can't do the caffeine, so it's decaf. With a generous helping of whipped cream! 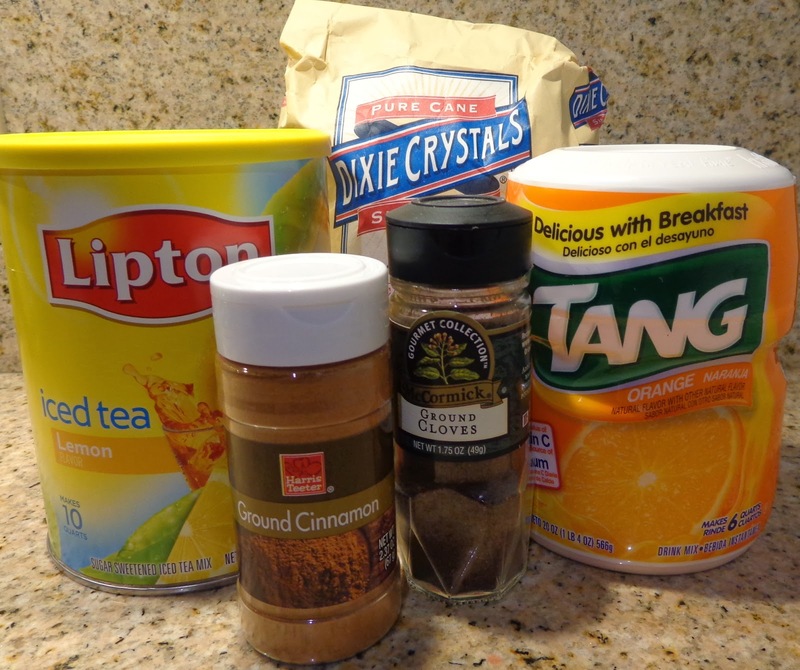 I can't do coffee unless it has lots of sugar an creamer (preferably flavored). Sometimes that's just too heavy for me in the evening. Otherwise, I think what you described sounds just heavenly! Sounds and smells good - right through this post. I think I will make this as a teachers gift. Thanks - pinning. I like coffee but not decaf so I don't need to have it at night. When I want to sip on something warm I usually end up eating chocolate. That makes sense right? Wow! I've never heard of this, but it sounds wonderful! I may have just figured out what to get all the teachers!! THanks! Lisa, my mom used to make this, and I'd completely forgotten all about it! I loved it! Thanks so much for the reminder and the recipe. I have never heard of Russian tea, Lisa. Thanks for sharing - I'll have to give it a try! 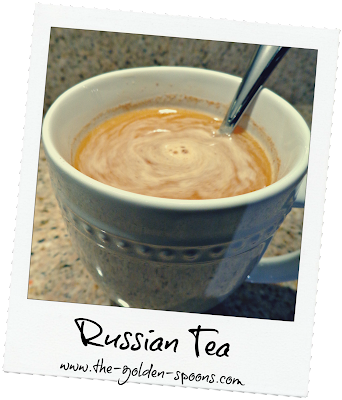 I've never even heard of Russian tea before, but it looks delicious! I love orange in my tea. This is great for kids because it's more Tang & sugar that anything else. My girls love it! Never?? Well, I hope you like it! It is wonderful for when you have a cold or a sore throat. That's usually when I remember to make some! Wow!! This has a lot more Tang that tea, but it is yummy!